2007 proved to be a historic season in the annals of St. Colmcilles. Any season that starts in the frost of March and runs through till the dark of November must be considered a good year. The year started with the completion of the 2006 schedule with the league final played in early April against St. Nicks from Bristol. Cardiff seized victory in what finished off their 50th Anniversary season with a league and championship double. The main goal in 2007 however was the defence of the Gloucestershire Senior Football Championship. Having never before successfully defended the title of County Champions, St. Colmcilles were once more in a position to defend the title having failed to do so on every occasion previously. 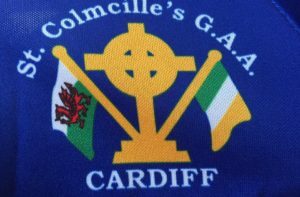 The semi-final match-up pitted St. Colmcilles against perennial rivals Western Gaels of Bristol, whom Cardiff have shared the last 9 County Titles with alternatively. Western Gaels were anxious to reclaim the title and maintain the sequence. On the day St. Colmcilles emerged the victors but only after extra time was needed as Western Gaels pushed all the way. The final score ending St. Colmcilles 1-16 Western Gaels 1-12. The final set up a repeat of the previous years encounter against St. Nicks. St. Nicks had the better of Cardiff in their 3 league meetings, edging two wins to Cardiff’s one. In a closely fought final where Cardiff’s goalkeeper Fergus O’Neill emerged as Man of the Match, Cardiff achieved heights of never before in retaining the Gloucestershire Senior Championship. The score line ending St. Colmcilles 1-10 St. Nicks 0-10. For the first time in the clubs history back to back county titles were achieved and indeed the double-double is still on with the 2007 league final against St. Nicks to be concluded before the year is out. Veteran wing-back Marty Dolan rolled back the years and played a significant part in the success scoring 2 vital points in the semi-final when they were needed most. In the final he steadied the Cardiff defence superbly while stifling the St. Nicks attack. As with many Gaelic Football teams in Britain there is a large amount of players coming and going throughout the year and this poses a lot of problems. Overall Cardiff utilised over 50 different players this year in either training or matches which is a healthy sign. The core however remains in the 10-12 bracket and this is the area that really needs to be improved. The core players are hard to replace, Aonghus, Cian, Rob, Ross but none more so than departing captain Breffni Clarke, who is returning to the rocky fields of Cavan after putting in a mammoth stint as Cardiff Captain during which time he lifted 3 Gloucestershire County Titles. The club wish him the best for the future and thank him for his service and loyalty to the blue of St. Colmcilles. Some of the new players that joined the panel this season were typical of the norm that the club has welcomed over the past number of years, lads who haven’t played since primary school or since they finished at minor level. This combined with those who have never previously played the sport, have been a welcome addition to the team. Very often it is the case that the new players have far more enthusiasm and lack the bad habits that more cultured players may have acquired. They do the simple things correctly, without the need to take the ‘extra bit out of it’. Competitiveness stems from competition and that is exactly what happened to St. Colmcilles this season. Donegal native Angus McCarter was never attracted by the Peil back in the Hills of Dún na nGall. He had a slight taster at the tale end of 2006 but in 2007 has played in the full back line, half back line, half forward line and the full forward line where he finished the County Final as top scorer with 1-2. Thomas Murtagh another newcomer who hadn’t played gaelic football since his primary school days, returned to the football field possibly inspired by Louth’s recent football revival. Thomas started all the clubs championship matches and worked tirelessly throughout the year. The impact the Merthyr lads Callum, Josh and the 2 Adams had on the squad in mid-summer was immense. The young soccer players, some who had previously played under 14 with the club slotted in when numbers were low and made a massive impression. The future looks bright with these lads around. 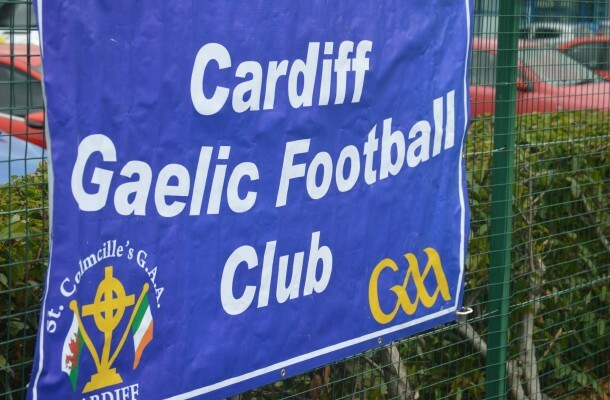 The two Joes – Joe Rees from Chepstow and Joe O’Sullivan from Coventry both newcomers to gaelic football, joined the Cardiff panel in mid-August and both made quick progress and an impression on the panel. Joe Rees putting his rugby skills to good use and getting a championship start. Joe O’Sullivan has shown his Kerry roots in training where he has improved considerably and been the hardest working member of the squad in the last few months. The fairytale story of the year my be Enda Barron’s, the Cardiff City Football Club employee had never won a county medal of any kind in 15 years of trying, grasped two in 2007, adding a Warwickshire County Hurling Title with John Mitchells to his football crown with St. Colmcilles. Two County Titles in two different codes in two different counties in two weeks, the only thing familiar was the right half back berth he occupied in both triumphs. The WAG’s also played their part in this year’s success. Firstly a glamorous attendance at the club dinner dance in February, followed by sideline roaring, jersey washing and countless evenings and Sundays of letting the men do their thing. We thank them. 2007 will also be known as the year of the wedding in Cardiff. No less then 3 Cardiff pairs tried the knot, former player Seamus to Claire, Armagh couple Ollie and Paula and club icon Johny Power to Michelle Brown. In addition Ronan and Ceri announced their engagement. Congratulation goes to them all. The club has played over 20 matches in friendlies, Gloucestershire league, Warwickshire league, Championship and British Championship. This was not without a trojan effort by players, management and committee. A kind thanks in particular goes to our generous sponsors. The club have aspirations and still strive to get a 7’s ladies and hurling teams off the ground to further develop the club. News of any upcoming tournaments would be welcomed. Shane Galvin, Club Secretary 17th February 2008.